Volunteer in Kenya - Do you ever get the feeling that you have a higher calling? Like to travel differently than with a big group of people or are you looking for changing yourself? We can provide you with an assortment of opportunities for finding some answers. One of the biggest differences you will notice at the end will not be external but will be the difference inside of yourself. Most importantly, you will be changed forever because you will have a greater understanding of another culture, you will challenge your personal limits, and you will develop friendships that last a lifetime. Many travelers have a general idea of where they want to go, but don't know what to do once they get there or what kind of options they have. 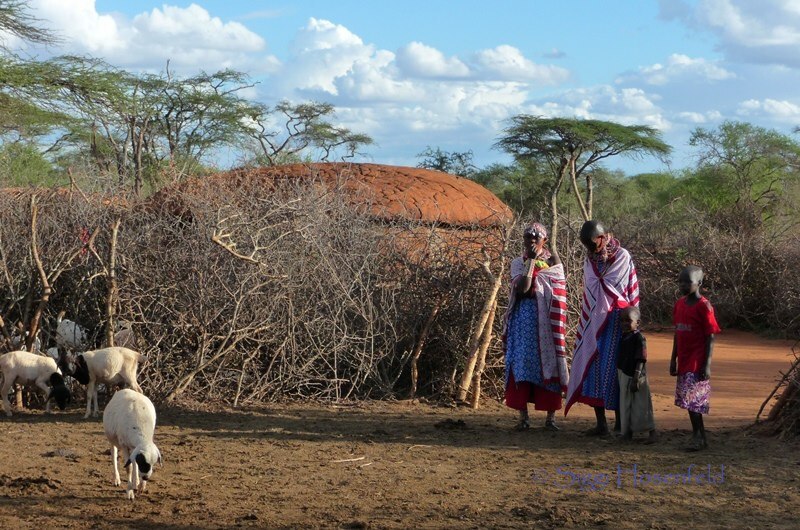 Volunteer in Kenya gives your travels a purpose and an itinerary if you are up for the challenge. In some cases you may find a volunteer project in your field of study and/or work. A volunteer position may give you the hands-on experience you have been looking for and something that beats stuffing envelopes for an internship any day. Volunteering requires a little bit of a flexible approach to it and some patience; in short, people who are self-starters, and people who genuinely respect the host families and their culture. As a general thing; Volunteers never go to teach the people western ways, nor are you there to 'save' the people. Volunteers go to share their energy and time with the people, to experience their culture first hand and to grow themselves. You can take this opportunity to learn a new language, familiarize yourself with a new culture, and a new way of life and living. The most important step will be to find the right volunteer project that will fit you and that you are comfortable with. ·	Community - A placements to help building a school, setting up a water treatment facility, cleaning the streets or planting trees. ·	Education - As a teacher or acting as a teaching assistant in a local school or an adult education program. ·	Eco-Environmental - Helping at a wildlife reserves or national parks, monitoring endangered species, or working a reforestation project. ·	Social Welfare - Working with under-privileged children, working with a women's co-op, or working in a hospital or orphanage. Here are some links for you to help with your research to volunteer in Kenya and good wishes for an experience of a lifetime. Advance-Africa.Com is a website focused on economic development in the African community. Products and services are offered geared towards advancement of Africans. Kenya volunteers have the opportunity to be involved in a variety of jobs. These include education and training children from under-privileged backgrounds. Volunteer programs may also be in the area of HIV/AIDS counseling, working in children orphanages and in medical programs. Looking for a gap year in Africa? This is the place to find great resources for all sorts of different projects to do something worthwhile in Africa. The world guide and information network to voluntary work in nature conservation. It has nearly 500 projects listed for worldwide wildlife and conservation volunteer work.